Q. I want to buy some trees, what else do I need? A. 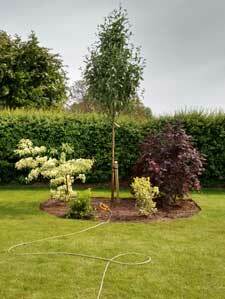 The trees will need supporting for a year or two after planting, with one or two stakes depending on the tree. Also some proper tree ties, as anything hard or sharp can ruin a tree. 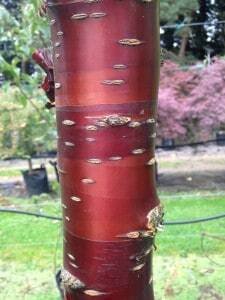 Please see our pages on planting and aftercare. Q. Are they difficult to look after when I have planted them? A. Not difficult, but care is needed to get the best out of them. Please see our page on aftercare. A. Yes we do deliver but… Delivery for just one or two big trees is expensive! Also they don’t tend to appreciate the normal handling and packing methods of commercial carriers. We deliver small loads using our own transport within about 100 miles of Green Mile, and larger loads by articulated lorry. Delivery of small orders further afield is easier in winter time when we have more traffic. Many customers find it easier to make their own arrangements. Call the office on 01777 702422 if you need to discuss despatch. A. We normally charge £50 delivery within 25 miles of Green Mile, £75 up to 50 miles, and any further distances at cost. These charges are subject to change. Q. I’m not Tarzan, what about handling big trees at my end? A. As you probably know, our trees can be heavy and bulky to move around. Our drivers always do their best to put your trees where you want them, however we can only guarantee a kerbside delivery (front drive, front lawn). Some larger loads may require some sort of lifting / moving tackle, such as a tractor bucket. Q. Phew. My time is precious, what about planting the trees for me? A. 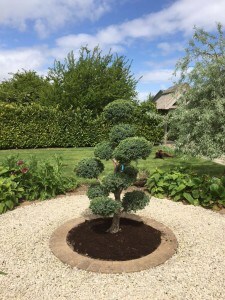 We have an experienced and skilled staff team, and we can undertake most planting jobs within a 40 mile radius. We’ll need to know a little more about the site first, too – please complete our Site Information form. You’ll also need to give us plenty of notice if you need this service. Chris in the office – 01777 702422 – will be happy to quote for the job. Q. I am looking for a tree that is not in your list. Can you help? A. We have a network of commercial contacts and growers throughout Britain and Europe. If it is generally available in the trade, the chances are we can get hold of it. Q. I’d like to see before I buy. Is it possible to visit Green Mile? A. Yes it is possible to visit the container unit, but we are primarily a wholesale business. Ring for a private appointment to view. Q. What do the sizes mean? Why isn’t everything measured by height? A. Ring the office on 01777 702422 to obtain a quote. Q. What guarantees can you offer me? A: Our guarantee is to supply you with healthy plants at all times. We do not offer any guarantees for plants once they have left our care, as we cannot take liability for circumstances such as soil conditions, weather conditions or poor practice. 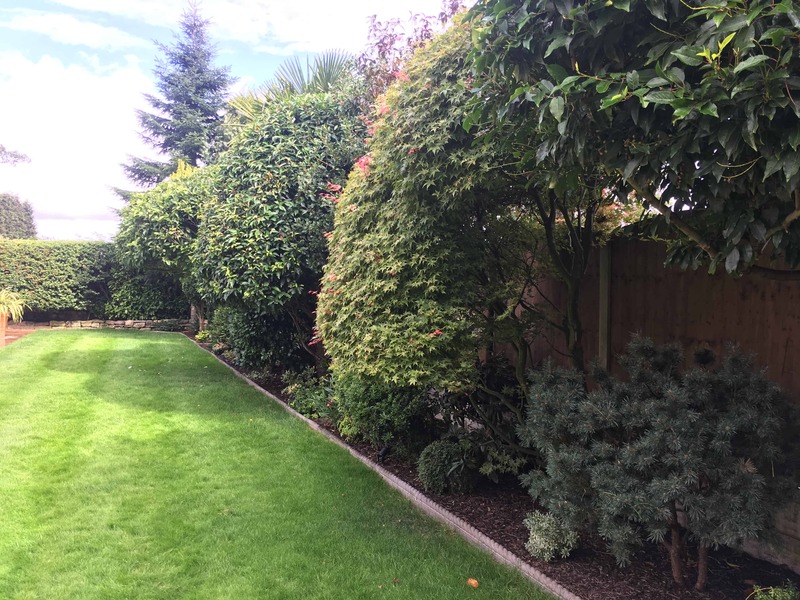 To maximise the chances that your trees and plants thrive from planting onwards, make sure you follow a strict aftercare programme. 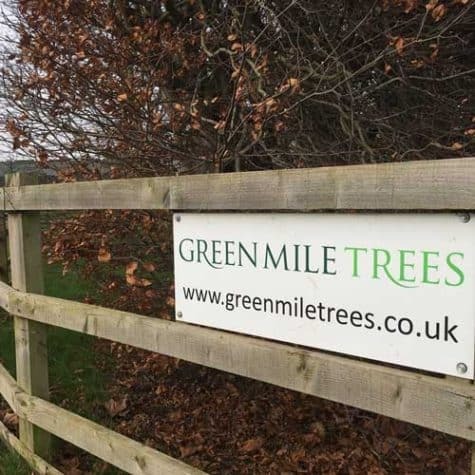 If you have an issue with a plant which has been supplied by Green Mile Trees, please contact us as soon as possible, within 12 months of purchase.